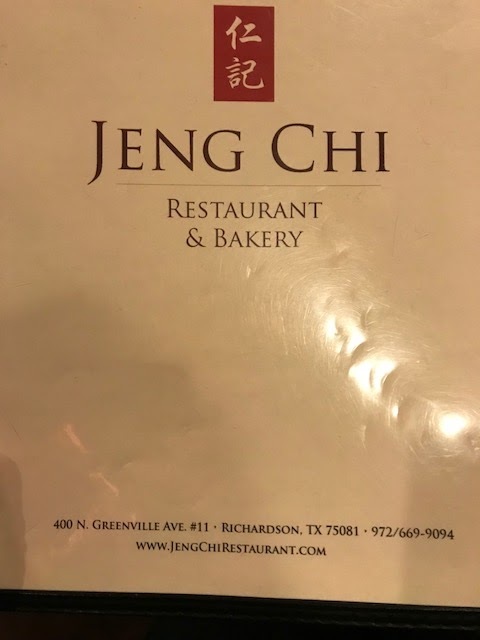 While we were in Dallas, alot of people were talking about the Shanghai Soup Dumplings. Situated at the strip center where it is known for several of its anchor places, including the grocery store. Jeng ChiIt is such a popular spot that by 6pm there were a 30 minute wait. 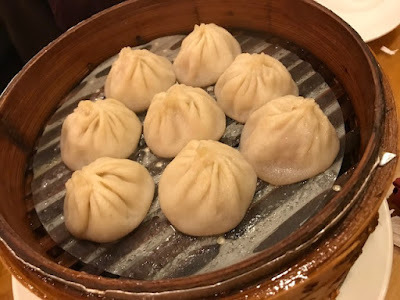 Since we heard so much about the soup dumpling, besides the original one, they also have a carb and pork one and a beef one. I just stick with the original. Another thing is that as soon as you order it, they make it to order. So, changing order is not easy, so think it thru before your server comes by. 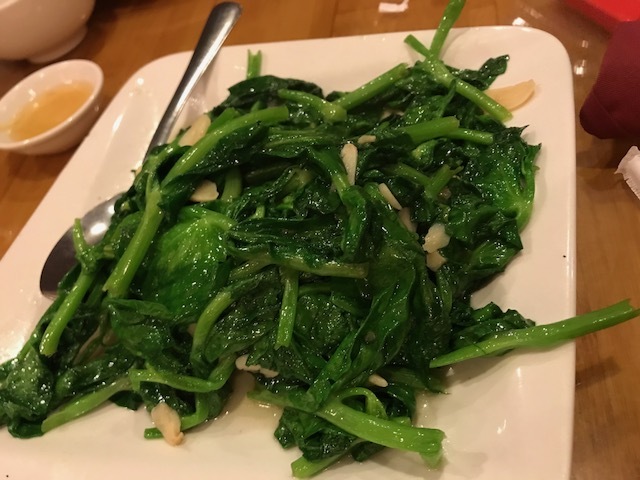 It is definitely juicy, as described in the menu. You see alot of folks ordering it, it's a good appetizer and you see tables get layers of these bamboo steamers at a time. People are obsessed with these dumplings. 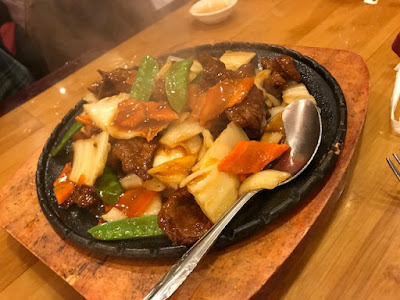 This is the Beef & Vegetable sizzling plate. It was steaming as it arrives and as the server pour some water over it, it definitely made all that noise. Piping hot too. Does the sizzling plate add to the taste? Not sure, but the meat itself was already cooked to the sauce and that to me was more for show. Finally, snow pea leaves stir fry with garlic. I'm a fan, you can almost do no wrong with this dish. Love it, just scoop them all up. Overall the wait was long, they do have a 'cafe' area, but no one was sitting there for the cafe. You amy get too hungry and get talked out of waiting here, but it's about the same. If it is a weekend night, and it's Chinatown, people will crowd there for dinner. Bring patience. Once you sit down the service is fast and food come quickly as well. At lease have a dumpling before you go.